With the goal of supporting joint industrial R&D projects between Israeli and Karnataka-based companies, a Memorandum of Understanding was signed in March 2013 between MATIMOP - The Israeli Industry Centre for R&D, on behalf of the Office of the Chief Scientist (OCS) in Israel; and the Karnataka Science and Technology Promotion Society (KSTePS) and the Karnataka State Council for Science and Technology (KSCST), autonomous organizations under the Department of Science and Technology, Government of Karnataka, in India. Under the MOU, a program was established, referred to hereinafter as the Karnataka - Israel Program for Industrial R&D (KIRD), to create mechanisms through which small/medium scale industries located in Karnataka, may seek funding support for joint bilateral research and development (R&D) projects, involving at least one company from Israel. This bilateral framework is jointly implemented and promoted by KSTePS & KSCST, under the Department of Science and Technology, Government of Karnataka, in Karnataka, India; and the Israel Innovation Authority (the Innovation Authority) in Israel (formerly known as MATIMOP, the Israeli Industry Centre for R&D, and the Office of the Chief Scientist of the Ministry of Economy). This program is specific to the Karnataka - Israel Program for Industrial R&D (KIRD), for projects submitted under a current Call for Proposals (CFP). KSCST & KSTePS and the Innovation Authority invite Karnataka-based companies and Israeli companies to submit proposals for bilateral industrial research and development projects. Each proposal must include an eligible lead industrial partner each from the State of Karnataka and Israel. Although it is not mandatory, projects that engage a technology developer and a technology end-user/first customer are strongly encouraged. The program provides partner-matching assistance wherever needed. Eligible Karnataka applicants include: researchers and managers representing Karnataka-based companies which operate and are headquartered in the State of Karnataka. Rs. 5.00 Crores and a 'medium' enterprise is one which has investment more than Rs. 5.00 Crores but not exceeding Rs. 10.00 Crores.) are eligible. Companies to qualify under this scheme must have their own R&D Center/must show inclination to set up dedicated R&D centre within the first year of the project - specifically with people and activities to support the project. Companies must be incorporated under the provisions of the Companies Act, 1956 and should maintain a minimum of 51%Indian ownership. The company should be registered with the Registrar of Companies, Karnataka at Bangalore and should have their registered office/Head Quarters in the State of Karnataka. The company should be achieving a minimum of 30% Domestic Value Addition for a specific product segment. Company should have employed at least 50% of its work force from Karnataka. Representatives from subsidiaries of firms headquartered and owned outside Karnataka are not eligible to receive funding or subsidies from this program. Would be required to commit investment of minimum 50% of the sanctioned project cost from its own sources of funds and 20% of 50% from their own assets. Eligible applicants will be R&D performing Israeli registered companies operating in Israel. Only those industries in Israel, who wish to collaborate with industries in Karnataka, are eligible for receiving grants from the Israeli Government under the KIRD program. They would be required to commit investment of minimum 50% of the sanctioned project cost from its own sources of funds and 20% of 50% from their own assets. a) An eligible company/ cluster of companies within the province of Karnataka or Israel will be responsible for the development and submission of the joint application. At least one company each, from either of the respective State/country engaged in S&T product development &/or processes, should express a desire to cooperate in the research and development of a new product or a new process or in the adaptation/customization of an existing product/process to the Indian market. b) Projects seeking funds under this scheme should have at least one company from Karnataka fulfilling the criteria specified at point 2 at section 3.2. - Innovative with significant commercial potential and utility to both the partnering state/country and fairly ready for the market within a reasonably short turnaround time (12 - 24 months). The joint industrial R&D project should aim at development of products/processes leading to commercialisation in the global market, besides societal benefits for their region. Adaptation to local conditions, such as climate, infrastructure etc. e) The project should demonstrate the contribution of the participants from both the sides. f) The project must be balanced between participants and significant to both partners. g) The project period is generally between 12 and 24 months. However, wherever warranted, there can be an extension, after due scrutiny, for a further period. The entire project period shall, under no circumstance, extend beyond 36 months. Any partner whose cooperative R&D or product adaptation project is consistent with the aforesaid criteria can apply to the present Call for Proposal (CFP) in accordance with the national Laws, Rules, Regulations and Procedures in effect. Funding support will be provided to each partner through its own Implementing & Funding Organisation (either KSTePS & KSCST/DST-GOK in Karnataka or Innovation Authority in Israel) as per approval of the competent authority, in accordance with the national laws, rules, regulations and procedures in effect for the respective countries. 1. The total project cost under this scheme is limited to Rs. 1000 Lakhs per call for proposals. 2. Funding by the Government will be limited to a maximum of Rs. 250 lakhs per project on the Karnataka side. 4. Karnataka industry desirous of being considered under this scheme has to indicate investment from its own source, by way of fixed assets (like land, building and relevant machinery), bank/FI loan, promoter contribution etc. along with a minimum of 25% by way of its own finance (Cash) to ensure availability of adequate funds while implementing the project without any difficulty. 5. An agreement with the funding agency has to be signed by the selected beneficiary Company/Industry along with a Bank Guarantee to be submitted prior to the release of the first instalment of the conditional grant. 7. The Government may consider extending support in up scaling the activity wherever the supported project has shown a very promising product or technology having commercial/social value thereby leading to direct/indirect benefits to the state and its people. h. Details of pending suits/legal actions and statutory/tax dues in the name of the entity and likely impact, if the suits/actions are decided against the unit. b. All details/statements as above would be required to be obtained and reviewed(except review of financial statements for the earlier years or three years, as the case may be, status of the existing credit facilities & they are regular/performing and status of pending legal suits/actions as also statutory dues/taxes, which are applicable for existing units). c. The funds would be released in phases with completion of agreed upon landmarks/fulfilment of objectives. 2. The total funding from the Government of Israel via the Israel Innovation Authority will not exceed 50% of the eligible and approved costs of the R&D, in accordance with the national laws and regulations. 3. When a project results in sales of a product, service or process, the financial support must be repaid to the Israel Innovation Authority according to its regulations (In general, royalties are paid at rates beginning at 3% of sales, depending on various criteria. Royalties are payable until 100% of the amount of the grant has been repaid with interest as provided in the applicable regulations). To ensure the effective delivery of the Call for Proposal (CFP) and reinforce the principles of bilateral partnership, the Innovation Authority in Israel and KSCST, in consultation with KSTePS, will employ a joint, two-step application process for each Call for Proposals. The Karnataka - Israel Program for Industrial R&D (KIRD) would offer partner matching service for companies who seek project partners for joint submission. Interested parties will have to submit a "Partner Search Form" to the program manager. The partner search form should be submitted as soon as the call is launched - prior to the Bilateral Application Form (BAF). A BAF provides a summary of the proposed project with enough detail for the reviewers to make an initial assessment of the merits of the project. Submission of a BAF is mandatory, and is the first required document that companies must submit. The form should be filled out by both applicants together, and identical copies should be submitted to the program managers in Karnataka and Israel on or before the mutually agreed upon deadline to be eligible for further consideration. The BAF must be sent in softcopy via email simultaneously to both the Implementing Organisations - KSCST in Karnataka, India and the Innovation Authority in Israel -within the deadline of the particular call period. The BAF must be signed by both Karnataka and Israeli partners, and must include a Letter of Intent or MOU detailing IP plans for the project. Incomplete BAF template or BAFs submitted in any other format will not be accepted. KSCST and the Innovation Authority will acknowledge the receipt of all BAF with in five working days of receipt. The BAF would then be referred for technical review. This process may take around 30 to 45 days from the date of receipt of the BAF. Upon obtaining the referees recommendations, the companies will receive notification with regard to their movement to the next stage in the application process. In next stage the companies will be requested to submit a full project proposal to their local implementing agency - separately but in parallel, in Karnataka and Israel, based on local requirements, normally within 45 days. Partners meeting all eligibility criteria and whose BAFs are approved will be invited to submit the KIRD Full Project Proposal (FPP) no later than the agreed upon deadline, according to the procedures and rules that apply in their country/state - for Karnataka-based companies, based on the rules and instructions of KSCST/KSTePS and the Department of Science & TechnologyGovernment of Karnataka; and for Israeli companies, based on the rules and regulations of the Israel Innovation Authority respectively. Applicants are required to follow the local requirements and use the provided application format with instructions (placed in the KSCST website for downloading) and submit their proposal. Proposals that are not in the approved format will not be accepted. The Karnataka partner is required to submit 5 hard copies and a soft copy in PDF format of the completed and signed KIRD Full Project Proposal (As per the Format) to KSCST at the contacts provided at the end of the document. Instructions and required forms will be provided to applicants. Each application must be signed by an official who is legally responsible for the project and endorsed by the chief executive or leader of the applicant organization. Electronic signatures will be accepted on applications submitted to KSCST and the Innovation Authority. The Israeli partner is required to submit application forms to the Innovation Authority�s R&D Fund in accordance with the Authority regulations, through an online system. A signed copy of the Bilateral Application Form is required to be uploaded as well. Please review the "Guidelines for Israeli Companies" document for more information. 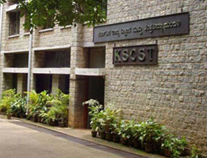 Karnataka State Council for Science and Technology (KSCST) in Karnataka, India and the Innovation Authority in Israel will carry out an independent evaluation of the joint R&D application and will select the eligible project to be financially supported in accordance with their State Laws and Regulations. The successful projects will be jointly selected by the two funding organizations at a "KIRD Joint Committee Meeting" based on the project criteria and requirements specified in the application form. Companies who receive joint approval will be notified by their local implementing or funding agency. a) Receipt of BAF (Bilateral Cooperation Form) from applicants with letter of intent or MoU. b) Preliminary evaluation and grading by the experts (experts are chosen from prominent academic institutions/ industries / government departments. c) Recommendations based on the grading by the experts. a) Receipt of FPP (Full Project Proposal) duly incorporating the recommendations of Experts on BAF with letter of intent or MoU. b) Second evaluation of accepted proposals by experts and further qualitative and quantitative assessment, based on KIRD criteria. FPP will independently be evaluated again by the experts. c) Applicants also make presentations before experts. d) Visit to the companies by the experts to assess infrastructure and other facilities available at the companies (to support their evaluation). e) Approved FPPs to be screened by the Committees. 4. The Joint Committee will take the final decision on funding. 5. Parties whose projects have been selected will be informed of the result and the amount of funding for the successful projects by their respective implementing organization in a timely manner.